Meals can be enjoyed in the seats at the riverbed overlooking the limpid stream of the river from June to September. The entire structure is of an old style with a steep thatched roof. It is very atmospheric with its surrounding natural environment in the bosom of a mountain. 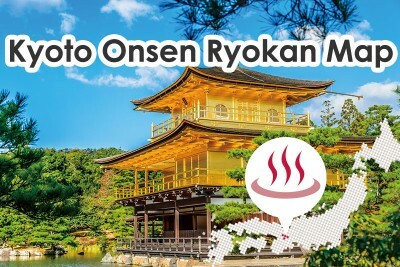 Notes: The baths at this inn including the big public bath use heated water, not natural hot spring water.However, this inn is very popular located in the rich nature of Kyoto City and is highly rated for the views from the baths and delicious meals.